The workout is formulated using blocks so you can work out to a full class or break it down into smaller sections depending on how much time you have. At weekends and on days when you’ve got more time, add on the lovely stretch and mediation to your workout and feel the tension disappear. 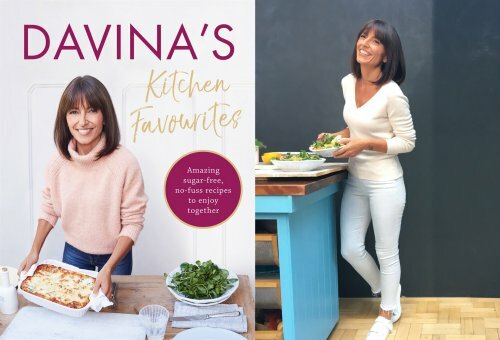 This time the focus is all about making amazing no-fuss food for the ones we love, from family to friends and neighbours.. Davina’s Kitchen Favourites is a collection of recipes from the heart with a very important message: No refined sugar and fewer processed foods. 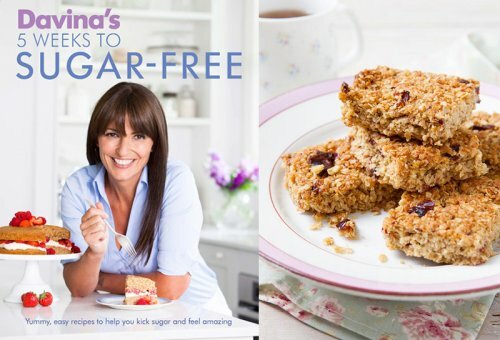 The Smart Way to Eat Less Sugar and Feel Fantastic even if you're short on time! 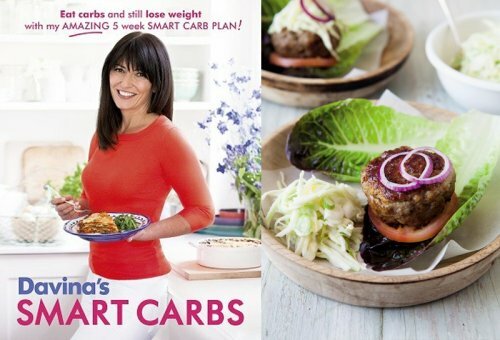 Delicious and healthy family recipes that help you balance blood sugar, lose weight and feel great. For the first time there’s also a brand new concept in working out – the Buddy Workout. It’s genius, you can do it with a friend, partner, husband and wife, even with the kids. (its also quite possible it will make you giggle while you are doing it! 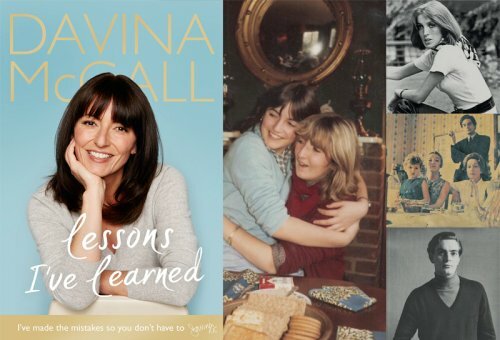 Davina shares all the tips and wisdom she has picked up on her 'work-in-progress' journey. Lessons I've Learned will motivate readers to reach their goals, find happiness and fulfilment, and look at themselves a bit differently. 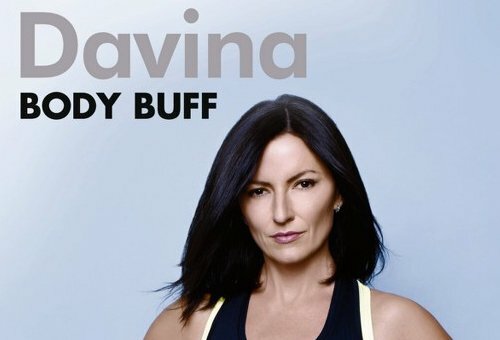 Stay on track with Davina's F&F Active range. Look to new season prints and improved technology to refresh your workout wardrobe. 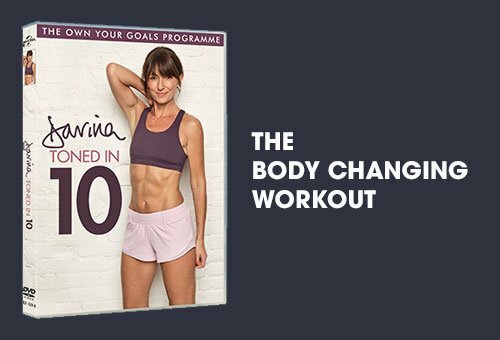 Ed's designed brand new high intensity 7 minute workouts and this year each workout comes with an extra 3 minute booster for those of you that have the time and really want to go for it... designed to work as a complete 5 week workout programme, to get you 5 Week Fit! The simple truth is that our bodies need carbs but we need to eat the right ones. We need to eat carbs that satisfy our hunger, are packed with nutrients and help us stay in shape. 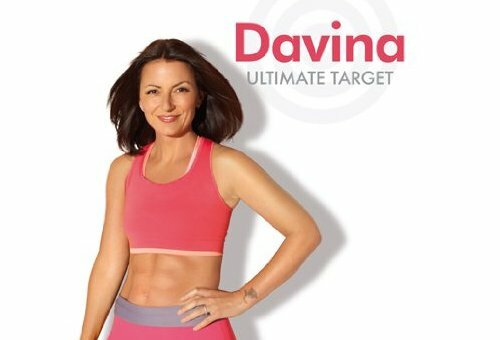 Davina's Smart Carbs do just that! Now, I know what you're thinking 7 minutes!! 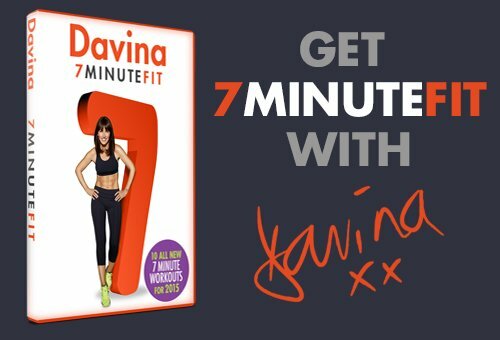 What can you do in 7 minutes? The answer is a lot. We've been doing these workouts for the last few months and you just can't believe the difference you can make in 7 minutes. 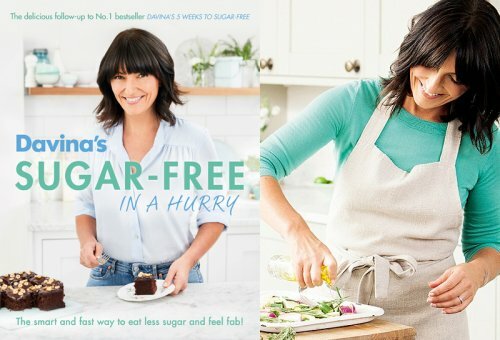 We all know sugar is the latest taboo, and as a self-confessed chocolate-addict, Davina will document how she managed to banish sugar from her life as well as offering advice, tips and sumptuous recipe ideas for the whole family. 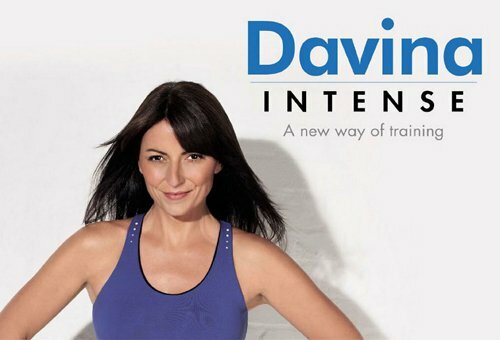 Davina has found a new way to keep fit and toned, without it taking over her busy schedule. 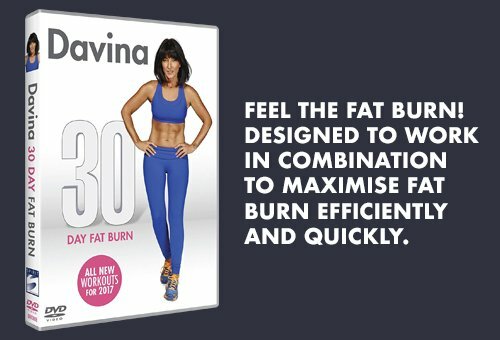 Fit in 15 is very simple, just do a combination of Jackie and Mark’s amazing 15 minute workouts and you’ll see great results! Intense is based on the principle of High Intensity Training, which means that you’ll be working out for a shorter amount of time at – you guessed it – a higher intensity. It’s all about getting your heart rate up really high for short bursts, which is great for fitness, toning and fatburning! 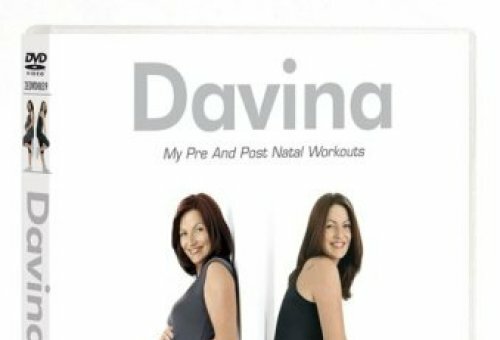 Using the different sections, you can target your exercise routine to meet your specific needs, with the usual proviso that you combine it with a healthy diet, of course. Anyone familiar with my ethos will know that I love being fit because it makes me feel so damn good! 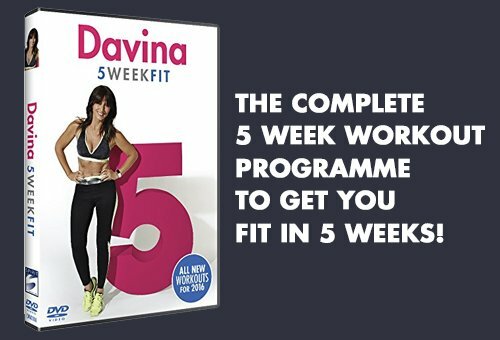 Jackie and Mark, my trainers, make getting fit and staying fit FUN and so that’s what this brand new programme is all about. There are four self-contained thirty minute workouts to keep you amused, plus plenty of super cool music to keep you going. My personal trainer Mark is an ex-Marine, and runs my workouts like a real Sergeant Major, so we decided that military–style fitness training would be a great concept for the DVD. It’s fun and pacy, full of variety and gets the very best results. Did you know that working out to your maximum capacity for just 30 minutes can be more effective than a full hour spent working less efficiently? With this in mind I have created three complete new fitness sessions for my brand new DVD. 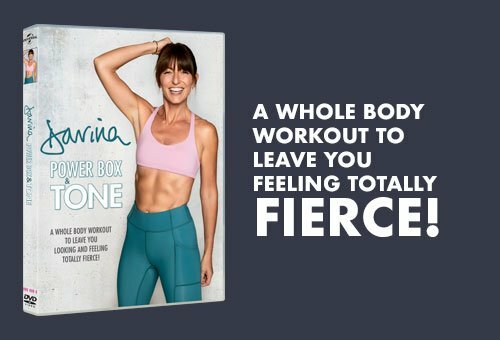 My Power of 3 workout suits all ages and levels of fitness and shows both the simple and advanced version of each routine. It lasts an hour but you don't have to do the whole thing in one go, you can always just do one section if that's all you've got time for. Plus I selected my favourite music tracks to work out to. So enjoy it - working out can be more fun than you think!